Rapid delivery. Great products and value for money. Purchased a new summer jacket from Brook Taverner and delighted with the product. Well made, good fit and much admired. Delivered within time. Prompt delivery of good quality trousers and jacket - satisfied customer. I ordered a jacket from them but the one I wanted was not in stock. However, Rachael from the Company did some homework and located my second choice at another location. The item was duly delivered very quickly and is first class. It's not often that you find a company that will put itself out to help and" go the extra mile" but BT did and I'm very grateful. Many thanks to Rachael for her first class assistance too!! 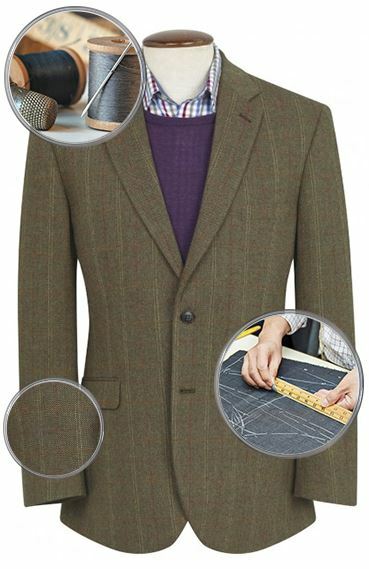 Excellent quality cloth and cut. Saville Row standards at high street prices. Good value, great style and quality product. Great quality cloths, sizes true and accurate, all arrived within a couple of days. Very happy with my purchases. Very good service, from the very helpful operator to the despatch of goods. I would certainly buy again from this firm again. Excellent choice. Great quality. Superb returns service and amazing customer service all around!!! I placed three orders in approx 10 days, all items arrived promptly and were well packed. I buy because I know the clothing is of good quality, smart and well tailored. I will continue buying all my outer clothing from Brook Taverner. I have always been impressed by the quality of their clothing and their excellent service. I have now bought from BT several times and each time I have been impressed with the quality of products and speed of service. BT is highly recommended! Bought a jacket and trousers online. Fast service, true to size. Appear to be good quality - but not worn much yet! Brook Taverner supplied five items for my first purchase. They exchanged two for different size. This service was smooth, easy, no problem, and no cost. I'm pleased with the clothes for the price - neither cheap nor expensive, and they seem OK. The real test, of course, is how well they wear, but as regards the initial sale and purchase, everything seems pretty good. Superb quality and value, especially at the offer price. Your 5 star rating say's it all. What you say you do! Ease itself - ordering, delivery, even returns and a great product to end up with. Great shirts and a really good quality Tweed jacket delivered quickly. I sent back a couple of other items that were the wrong size and the return process was simple and the refund very quick. I really am very impressed. I ordered a jacket and then some shirts. All delivered promptly and are as expected. Ordered online, goods shipped the following day and delivered the next working day. The jacket looks good too! Thank you Brook Taverner: I ordered the wrong size Thomas jacket but you replaced it within the week. It seems an excellent casual jacket which I'm sure I will wear frequently. Well done - arrived on time - a good product - well packed. Very pleased at our end. Every item bought has been exceptional quality, excellent value for money and a joy to wear. On the odd occasion items have had to be returned, response or refund was immediate. Dealing with this company has been a pleasure and would recommend to anyone. I ordered a pair of trousers and these arrived within a few days, as promised and in pristine condition. Unfortunately these turned out to be a size too small, so had to return them; in doing so, I neglected to include the replacement order for a larger size. Gave Brook Taverner a call and they sorted this problem without delay. I grow more fond of this service with each purchase, I highly recommend it! Jacket arrived quickly and is incredible quality. Will be ordering more! Good fit ,good quality and arrived without fuss on time. efficient people dealing with me on the telephone--order executed well --------returns well organised. Quality, price, delivery time, packaging, returns process........cannot fault anything. I am a longstanding customer of Brook Tavener. They offer top class quality in all their products, great delivery times, and their customer services are second to none. Do I recommend them, absolutely and without reservation. Swift & efficient service from Brook Taverner as usual. Highly recommended company. I have used Brook Taverner before and found them OK. However, they havoc cleared improved their game and my recent 2 purchasing experiences have been excellent. I would highly recommend them. Excellent quality jacket, great design and superb and swift service. Thank you. The jacket was great and just what I needed for summer wear; excellent quality and value as well. Having been looking for some decent, and decently priced, chinos I was delighted with the three pairs from Brook Taverner. So much so that I followed up with an order for two jackets which are also excellent. And such good value. I am 6 foot two and normally standard jackets are too short but this was perfect. Nice material with a rather casual feel which is good as I intend to use it as a jumper replacement. A great buy, thoroughly recommended. The jacket arrived way ahead of expected delivery date and was packed and protected beautifully -- in a way that I believed had long gone out of style. The finish to the garment is excellent and the fabric and colour exactly as described. I will order again. I just love your shirts - great quality and great fit. Just received my jacket and it is just as pleasing! Really good quality and finish - thank you! In total I did three separate orders all of which arrived within a few days being preceded by an email letting me know the delivery day and on one occasion the time. I found the quality of all the goods, jacket, polo shirts and formal shirts, exceptional and I will certainly use your company again. Excellent products - delighted which encouraged me to buy more. The ordering on the web site was clear and uncomplicated. Most appreciated was the prompt and efficient service which meant the delivery was quick. Good quality, worth waiting for. Bit of a delay in delivery, but a good item of clothing. It's not often I feel obliged to review anything I've bought but I was so impressed with Brook Taverner's 'Thomas' jacket that I thought I'd write and tell them how pleased I am with it. There was a delay in delivery but they kept me informed and the jacket was worth waiting for. I'm so pleased that I will certainly be looking to buy from them again. Superb quality with great attention to detail, great value and good service, what more do you want? What more can I say? You won't be disappointed. Just wish there were more products for tall guys! Item exactly as described and delivered earlier than expected! A professional and prompt service of good quality clothes. This was the first time I had tried Brook Taverner and was very impressed with the service and attempts at customer satisfaction which was certainly achieved with me. I would use them again and recommend others to purchase from them. Can't fault Brook Taverner. Clothes are very well made and the quality superb, they always fit as they should. Customer service staff courteous and helpful. I cannot fault this company they seem to tick all the boxes for me. Service and quality is excellent, order with confidence!! 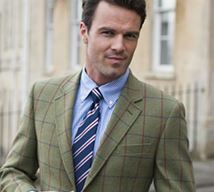 I have tried many online companies for buying my shirts and jackets but until I found Brook Taverner I have always been disappointed with either the fit or quality. I would recommend them to anyone who has had the same difficulties that I have. Top class delivery, fit and quality. Quality service, million doller product. This company is new to me and I was'nt sure what the goods or service was like. Great service and good clothes! Website was easy to use, clothes appear to be good quality, and free returns was ideal. Bought two cotton jackets which arrived as notified. Colour and size as ordered. Many thanks. Dependable quality products and excellent customer service. 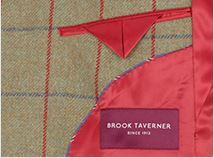 I have now had several items from Brook Taverner direct and, without exception, I have been impressed with the quality. Even at the full price their products would be fair value for money but when they offer significant discounts they are unbeatable. Their customer service is courteous and efficient and deliveries have always been reliable. I have no hesitation in recommending Brook Taverner. Excellent quality and styling, good fit and great value for money. Well made jacket and quality of the fabric is excellent. Quality good and excellent value for money. The sizing on this jacket fits my husband well. Product was good and as described. I have one already in this style, but a different colour and am very happy with it. The jackets were exactly what I wanted and very good value for the money. The jackets are stylish and look extremely well made. Good quality, good price. I bought one. Then another. A simple plain cotton jacket with an excellent feel and quality lining. More than enough pockets too. Good choice of colours, blue looks good to wear. Great price reduction as bought recently. Exactly what I expected, good quality and priced, efficiently processed transaction. Yes it is worth it with the "code". Surprisingly good and exactly as described. Size spot on. Excellent service and product. Would definitely use them again. Very good quality garment very smartly presented in the delivery box. I am happy with the quality and finish of this jacket. I’ve looked at this jacket often and now delighted I got it. Looks great and fits well. Unfortunately this jacket, (40R, exactly the same size as I bought a few years ago) was tighter, and so not so comfortable. I measured it to compare with the one I got earlier, and it was half to three-quarters of an inch tighter on chest, waist and shoulders measurements. So I returned it, and asked for one that would fit the same as my old one. Excellent jacket, looks good and a great fit. Well tailored, quality cloth, decent fit - a fine purchase. This jacket is advertised as “Navy” and it definitely isnot navy. It is closer to a blue toned grey. The label attached describes it as “Indigo”. Apart from that disappointment the garment is fine. Very impressed with speed of delivery, jacket arrived beautifully packaged. My husband is very pleased with his jacket, fit is perfect, it is well made. Nice touche with button up inside pockets. He is so pleased he has placed another order with you, for two pairs of trousers. It is extremely good value at £90. Would be less so at £200. Fits well although I bought a size larger than I would from M&S or John Lewis. Service was outstanding. Ordered Monday, delivered Wednesday Very pleased with the outcome. Since the demise of Austin Reed (I was a customer for more than 50 years) and Jaeger, it's very difficult for the 'older gentleman' to find this sort of kit. Not yet worn but looks good and quality appears very good time will tell. Good easy fit and extremely comfortable. I liked the first jacket I bought so much, I immediately bought this one as well. 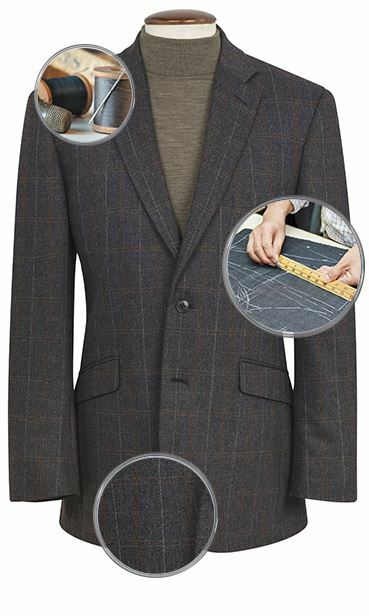 (Different colour) Well made and fits perfectly - lovely casual jacket. Just what I wanted for the Summer. Good quality at an affordable price. This is the third Thomas jacket I have bought, the first one has been worn in France so much in Summer that about four years later I had to buy another one, and then that having being worn in the far east rather a lot, and bleached by the sun somewhat I now need a another one for smarter occasions. It is exactly what I need for every day use, being someone who cannot exist without a number of pockets in which to place wallets, diaries, phones, small pen knives, hankies and all the other essential trivia of every day life. I commend this well designed and discreet staple member of my wardrobe. The jacket appears to be acceptable but unfortunately the delivery man decided to leave the garment in it’s box in my garage the door of which is electrically operated. I do not know how he managed to open the door but it took me an hour to reset the mechanism and the remote control. My wife was at home whilst he decided to take his extraordinary action. Used this jacket on a two week tour of India, it proved to be a good choice. Looked fine for posh hotel evening meals, and just right pockets for tickets, passport and wallet on travels.Waiting to see how it stands up to the "washable claim"! Will a 54R of the above be back in stock anytime soon? Unfortunately we are not expecting any further stock of this size. 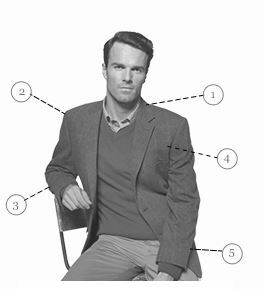 I have tried many online companies for buying my shirts and jackets but until I found Brook Taverner I have always been disappointed with either the fit or quality. I would recommend them to anyone who has had the same difficulties that I have. Top class delivery, fit and quality.